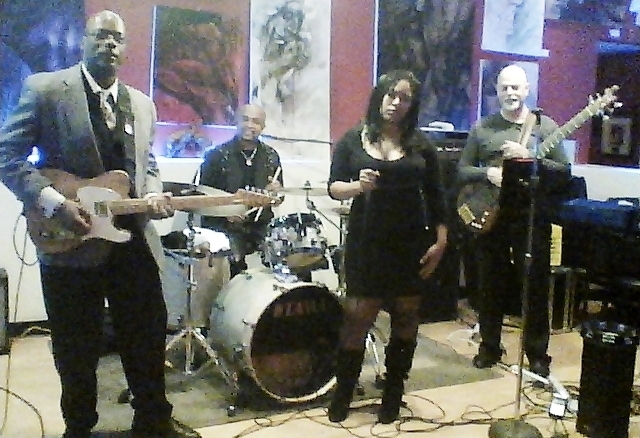 T-Ray is a dynamic four piece R&B/neo-soul/funk and jazz band based out of North Jersey. One of the most versatile and exciting dance bands currently performing in the Metro NYC music scene, since their inception, T'Ray has built a loyal following. As members of the band were raised on 70's soul, funk, and R & B, they are able to captivate the crowd with the real natural funk feel, that infectious groove. The band's members share a deep passion for all types of music, and you'll hear snippets of it sprinkled throughout their shows. Performing in their own style, it's always about the groove. Welcome to the total experience, a happy, high energy, and fun thing.